“remind me” is a closed area, a fence, an impenetrable structure. It stands as a whole around a hidden internal and as a wall protecting against the external. Is it the forest’s subconscious that speaks through the sculpture? 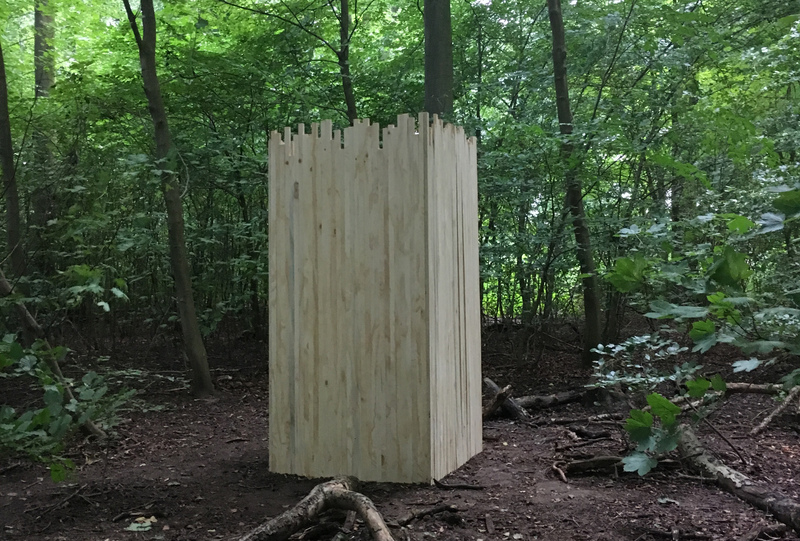 The artists Berit Jansson, Marianne Schneider and Annette Hornskov are searching to examine the sculpture as a medium – its secrecy, its character as a monument and the closed agains the open. Open every day from 19.08.16 to 10.09.2016.